What really happens at a master class? I’ve had the privilege of studying with several famous opera singers at master classes. They have taught me more than just vocal technique and musicianship. Here are some of the secrets I’ve learned from great singers. I remember the moment that I first saw Dame Elisabeth Schwarzkopf. It was January 2002. I was sitting in a crowded auditorium in Stuttgart, Germany. Suddenly, the backstage door swung open. In that instant, the room fell silent and three hundred heads swiveled to look at her. At the age of 86, Schwarzkopf could command attention simply by walking into a room. A master class is a seminar for advanced music students (or young professionals) conducted by a master musician. The student performs a piece of music in front of the whole class while the teacher critiques the performance. Elisabeth Schwarzkopf was a stickler for detail. Every breath, every expression, every vowel had to be just right. I learned a lot about Wolf Lieder that day. But I learned even more about willpower and charisma, qualities that Schwarzkopf possessed in abundance! Master classes are never just about singing. They’re about how to live your life. (See Randy Pausch’s Last Lecture.) Singers are natural mimics — we learn by imitation and even by osmosis! We absorb a great deal of information simply by being around great artists. And this has little to do with what is actually taught or discussed. Montserrat Caballé is one of the most joyful people I have ever met. A couple of years ago, I had the pleasure of singing at her master class in Zaragoza, Spain. Her curriculum included a lot of vocal anatomy; she enjoys the science of singing. But it was her contagious joie de vivre that most impressed me. Studying Casta diva with her was simultaneously gratifying and alarming, because her passion for Bellini is visible. It shines through her like a light. Master classes are special times in the life of a singer because most voice lessons do not happen in front of an audience. Soloists usually take individual lessons. Professional opera singers continue to work with voice teachers and vocal coaches throughout their career, but this training is usually one-on-one. And yet, there is something about the group learning experience that really works for musicians. Singers who have struggled for years can make huge breakthroughs in a master class. I’ve seen it happen. In just a few days, a student can experience an exponential learning curve. 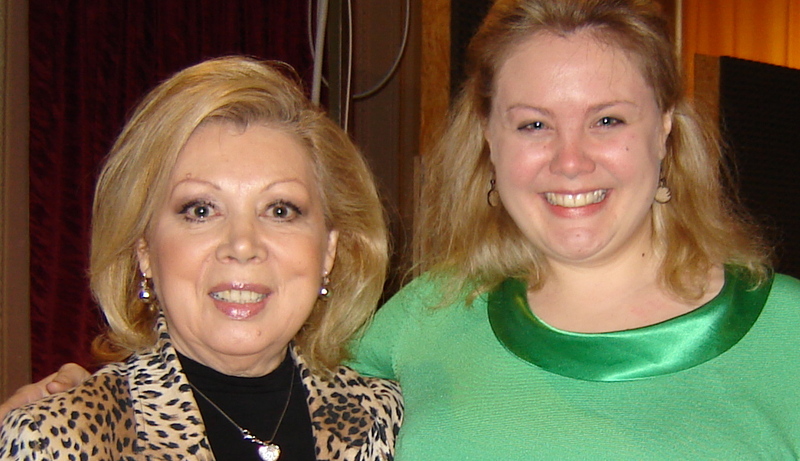 That’s why I was thrilled to discover that Mirella Freni teaches her own students in a “master class” format. When I moved to Italy to study with her in 2005, I did not realize that my “classroom” would be a sixteenth century palace! On the day of my first lesson, I climbed up a magnificent spiral staircase to a large chamber with painted ceilings, where sixteen young singers were singing arias for each other while Signora Freni made suggestions. Mirella Freni is, of course, a musical genius. She sings in a very natural and authentic way, as if she were holding a conversation. I think the best moment may have been when some of my colleagues asked Ms. Freni how to produce a pianissimo. 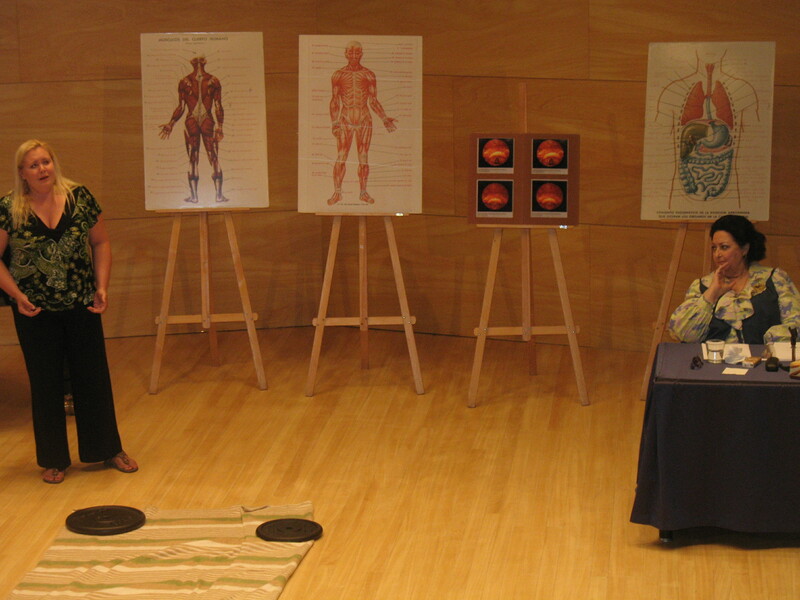 They wanted to hear about the physical process, how to use their abdominal muscles and resonance chambers, etc. But she gave them a more profound answer. When I went to visit Ms. Freni last spring, I found that she had moved her academy to Modena, the town where both she and Luciano Pavarotti were born. Her master classes are held in a former hospital, in what used to be the cardiology wing. There is poetic justice in that, since Freni’s music is about singing from the heart. Of course, master classes are often a mixed experience. When a student wants to learn, and a teacher wants to teach, there is nothing better than a master class. But sometimes it gets more complicated than that. 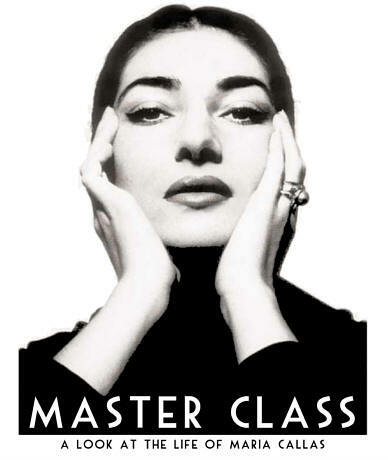 Master Class is actually the title of a play about Maria Callas, written by Terrance McNally, in which Callas teaches students about singing while reliving episodes from her own life. And like the play, a real master class can reveal someone’s hidden agenda. Sometimes, the student just wants to demonstrate how fabulous she already is. Meanwhile, the teacher wants to prove her greatness as a teacher. They both need professional affirmation; they both want to shine. And they both end up feeling hurt and unappreciated. This is completely unnecessary. A really masterful pedagogue can adapt to the student’s own learning style. Some students are more kinesthetic; others are more verbal. Some make huge intuitive leaps simply from imitating the sounds in the room; others need a step-by-step methodology that they can write down. An experienced maestro knows how to critique a student without discouraging him. He knows what to say and what not to say. Some of the best vocal coaches I’ve known have a Zen-like ability to teach without saying anything at all! I was not quite that wise when I went to teach vocal workshops at the Kathmandu Jazz Conservatory in 2009. I had prepared a several multi-media presentations on topics from breathing technique to the history of Western opera. And I think it was useful. But I noticed that my students got even more from my energy and attention than they did from my information. That’s how it works. Master classes aren’t just about music. They’re about life. Opera singers may not look like swimsuit models, but they are actually cardio champions. According to the American Journal of Nursing, opera singers have stronger chest-wall muscles, greater lung capacity, and more efficient hearts than their non-singing friends. But, if classical singing requires the muscle coordination of a professional athlete, why are singers so… plump? Not all opera singers are heavy, but many cantanti struggle with their weight. Does it have to do with body type? Metabolism? Lifestyle? No one knows for sure. A New York Times article cited a study suggesting that singers produce too much leptin. We do know that the sound of a human voice is influenced by the size and shape of the body. Some people believe that fat actually produces a more resonant sound! Whatever the reason, the extra curves get noticed. There is increasing pressure on opera singers to lose weight. I enjoy some fitness video games: Wii Fit Plus for strength and posture, and ABBA You Can Dance for those rare moments when I’ve had enough opera and I’m craving happy ’70s music. In 2010, I traveled to Spain for an opera contest while I was training for my first triathlon. Before I even got on the plane, I wrote down the directions from my Spanish hotel to the nearest public swimming pool. I also found the nearest bike rental shop. When I got there, I went hiking as often as possible. For me, singing always comes first, but I managed to maintain a (slightly less rigorous) triathlon training schedule. 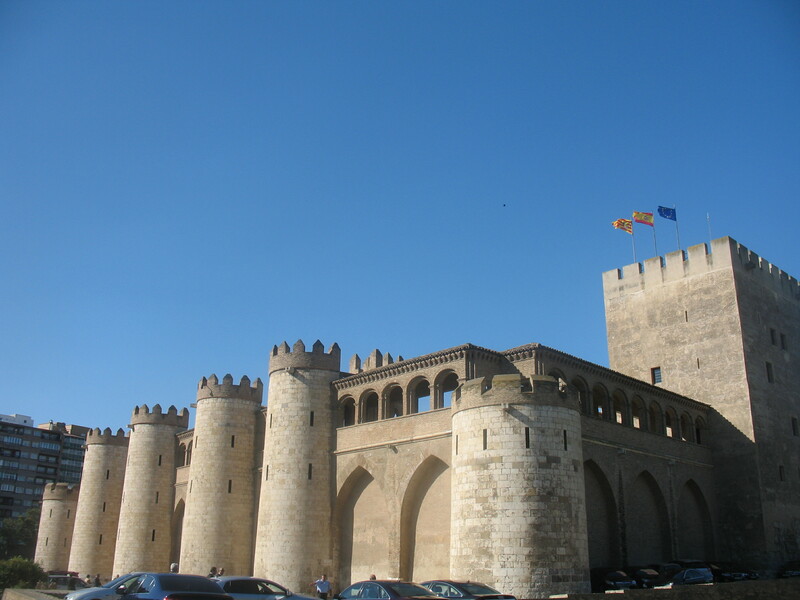 I may not have a castle in Spain… but I’ve jogged around one. Most singers find that they can improve their energy and vocal stamina by spending more time at the gym. They are more comfortable with dancing, and swordplay, and leaping around onstage if they have taken martial arts classes, or dance aerobics, or gyrotonics. Exercise also helps melt away the stress of a major career. 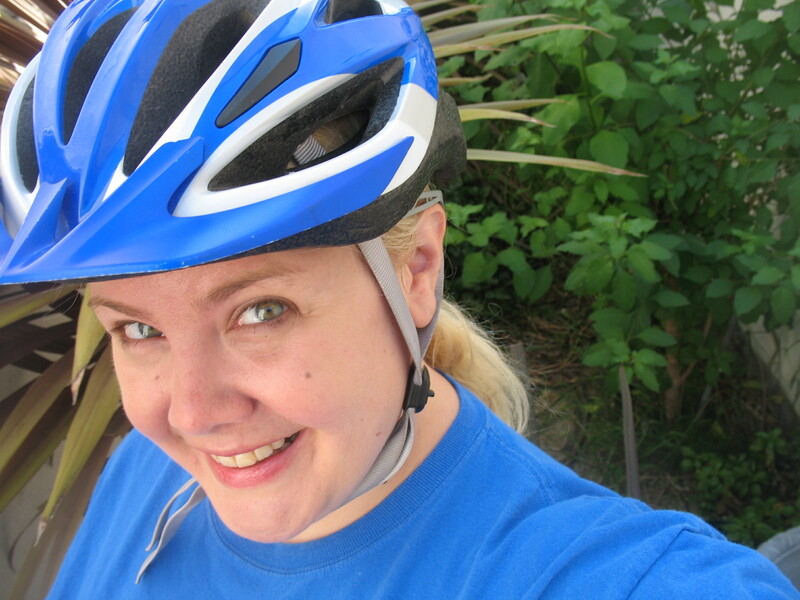 Cindy Sadler has blogged about her success with cycling. Renée Fleming does Pilates.